On Behalf of Paul, Simon, Neil and the Undersigned, we Congratulate you and your Site Team for a job well done and Achieving Practical Completion by due date on the Papamoa Library Project. The Client is very happy with the outcome, both in time and the standard of finish. Thank you for your services to this project and please pass same onto your staff that attended on site. We look forward to working with you again on Future Projects with the same results. Thank you very much for the expert job all your team did at the YWCA hall and Bishopcourt administration buildings. These buildings have been around for more than 40 and 80 years respectively, so they’ve had a few layers of paint in their time. In the hall’s case, this was the first repaint for 15 years, so this has definitely made a difference. We’ve been receiving lots of compliments on the fresh and colourful new look for our buildings. Our members were too polite to say anything previously about the faded, peeling paint on the Bishopcourt windows, but are now happily inviting other women’s groups to show off the YWCA. Les and all your painting staff did a great job. We really appreciate that everyone involved with Cantec always goes the extra mile for us. Your responsible, friendly and hardworking staff worked in and around our daily requirements and met our deadlines. We look forward to working with Cantec Services again at the YWCA. It is our company policy to provide feedback on staff and company performance of sub-contractors working on our projects. It is very pleasing to be able to report that your company and staff carried out their duties on the above project in a very professional and competent manner and were always helpful, considerate at all times and a pleasure to work with. Please pass on our many thanks to all involved. I take this opportunity to thank you for the way your great product had been applied to the walls of our home. An Extensive search, lead us to Jaydex International and prompted them to recommend the Elastick System as an appropriate membrane with excellent adhesion to the concrete block walls. For the first time in 28 months, we have had no need to use a submergible pump, and no water has entered our home during the heavy rain falling on the roof, knowing that water will no longer be coming into our home. 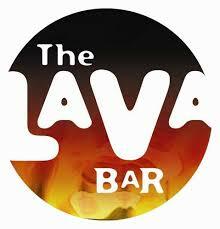 I would like to take this opportunity to thank you and your firm for the tremendous effort you put into The Lava Bar development. This job, as you know was very complex in its nature and was resisting getting finished, but with each and every one of you going beyond your call of duty (as it were) we got the job finished to the scheduled time with the RDC Building Inspector signing the job off at 5:30 on the Thursday night. So to that end it was very successful and the owners are very pleased. So once again, from myself, Eugene Larkin and his obliging team, I thank you.